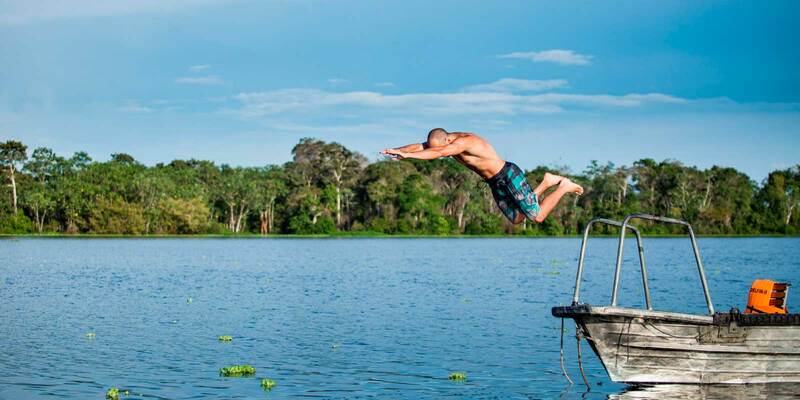 There is an unlimited number of things to do in Peru. 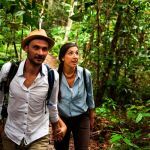 If you want a memorable vacation that allows you to experience incredible biodiversity and take part in once-in-a-lifetime activities within the largest rainforest in the world, look no further. 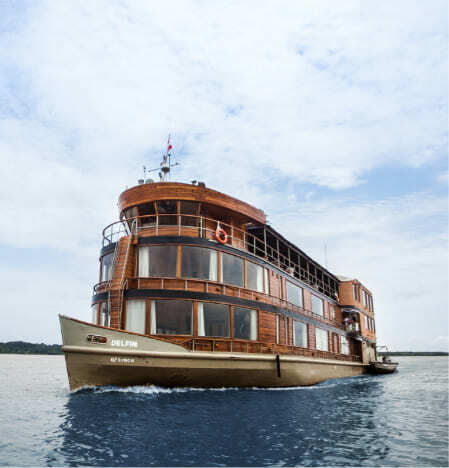 Delfin Amazon Cruises plans your itinerary to make sure you get the most out of your precious time. Things to do in the Amazon rainforest in Peru range from paddle boarding and fishing to taste testing, local community visits, and much more. 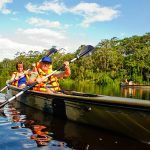 With Delfin as your guide to the Peruvian Amazon, you will feel right at home during your time with us as we experience a range of things to do in Peru and explore the heart of the exotic Amazon rainforest. We acknowledge how important it is to unwind from the hustle and bustle of life and to finally connect with nature. Luckily, things to do in Iquitos and the surrounding Amazon rainforest are heavily centered on the outdoors. Witnessing the diversity in native wildlife is one of the top things to do in Peru, and guests of Delfin Amazon Cruises can get a closer look at the local flora and fauna by kayaking or paddle boarding along the still waters of Amazonian tributaries, creeks, and lagoons. Swimming alongside pink river dolphins is a classic item on the checklist of things to do in Peru that cannot be skipped. Moreover, Delfin offers guests the chance to do catch-and-release fishing for gigantic catfish, ferocious piranhas, and other species unique to the region. 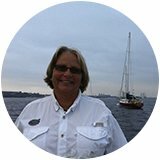 Be sure to pack a waterproof camera and your swimsuit! Delfin enables passengers to join in on a variety of nature walks throughout the rainforest, and all are included in the cruise packages! Outings led by expert guides and naturalists allow you to gain a broader awareness of the immense variety of vegetation and animals hidden within the Peruvian Amazon. 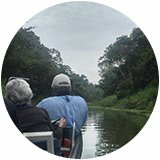 Things to do in Peru while on nature excursions also involve birdwatching – for over 1,500 species, including macaws and parrots – as well as canopy walks that extend high above the jungle floors, giving guests the advantage of spotting monkeys and other wildlife not easily seen from the ground. Then, at night, you will be ushered onboard skiffs for an unforgettable stargazing and nocturnal creature-spotting extravaganza, just another one of the stunning things to do in Peru. Keep your eyes peeled for caiman lurking along the shores! Peru was recently named the world’s top culinary destination in 2018 for the seventh year in a row; therefore, when contemplating what things to do in Peru, don’t shy from taking your taste buds on an unforgettable adventure in the Amazon. 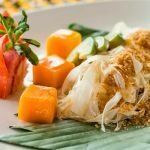 Delfin takes pride in providing guests with a one-of-a-kind culinary experience, allowing them the chance to try native foods made from the freshest ingredients that Iquitos and the Peruvian Amazon region have in store. Revel in unsurpassed dining experiences while onboard your luxury cruise; they are paired with top-class service in a welcoming atmosphere, fashioned with your enjoyment in mind. Our customized Peru tours will surely not disappoint, and rediscovering your bold palate may just become one of your favorite things to do in the Amazon. 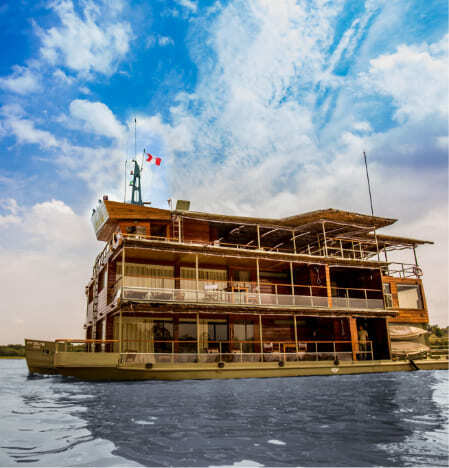 Delfin Amazon Cruises understands that having a deeper appreciation for the rainforest in Peru can start with Peru tours that allow guests to familiarize themselves with the customs of those who thrive off of it, the locals. 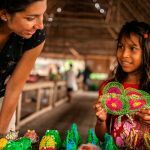 We encourage all guests planning things to do in Peru with Delfin to take part in our community visits, during which they will learn about exactly how life is within the Peruvian Amazon and its surrounding regions. With these visits, we aim not only to consciously practice and promote responsible tourism in order to promote industry awareness but also allow the natives to benefit from our services year in and year out. It’s a win-win on the list of things to do in Peru for all parties involved. For bonus points, be an integral part of our annual program, and bring along some school supplies for the children! When deciding what things to do in Peru during this vacation, don’t forget to add in some much needed time to nourish your mind and body, whether before or after your planned activities for the day. And Delfin encourages you to do so. Unwind with onboard massages and rainforest scrubs provided by our very own wellness experts, available at your leisure. And just because you’re focusing on things to do in Peru doesn’t have to mean your workout routine has to stop. 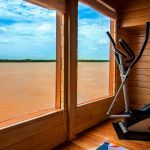 Our exercise rooms have panoramic views of the breathtaking Amazon scenery, making sure you don’t miss a beat. 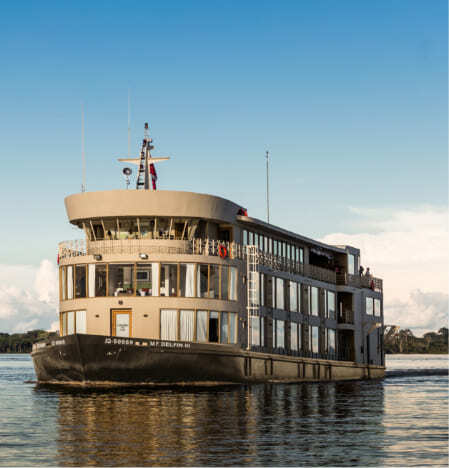 Whether on or off board our luxury cruises, know that you will be in good hands while exploring the Peruvian Amazon alongside the experts of Delfin Amazon Cruises.